Have you ever thought about floating ice in a glass of water, glaciers floating in oceans? Why ice floats on water although it is solid in Physics? A substance floats if it is less dense, or has less mass per unit volume, than other components in a mixture. Water is less dense as a solid than a liquid because of the hydrogen bonding. Basically, for an object to float, it has to displace a weight of fluid equal to its own weight. So for example, if a stone has a lower density than water, it would be able to displace the weight of fluid equal to its own weight, just like ice. Ice is different because a water molecule is made of two hydrogen atoms and one oxygen atom, which are strongly joint to each other with covalent bonds. A covalent bond is a chemical link between two atoms in which electrons are shared between them. Water molecules are also attracted to each other by weaker chemical bonds (which is the hydrogen bond) between the positively-charged hydrogen atoms and the negatively charged oxygen atoms of neighboring water molecules. As the water cools below 4°C, the hydrogen bonds adjust to hold the negatively charged oxygen atoms apart, forming ice. These characteristics of water allow them to be less dense when they are cooled. Furthermore, it allows them to float on water even though it is in its solid state. 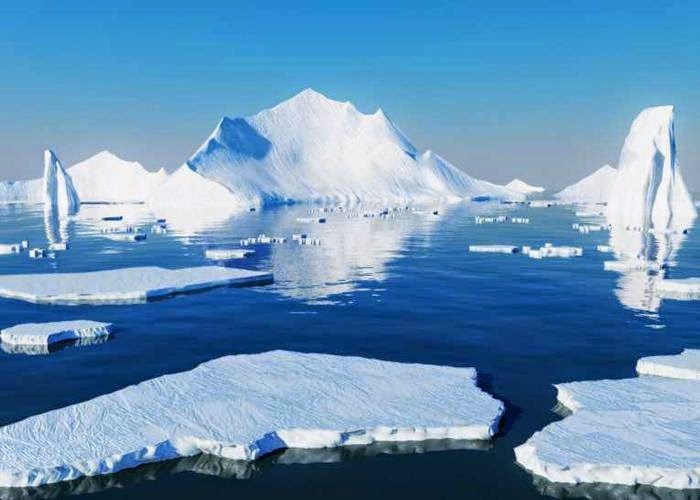 Why Ice floats on Water because it is about 9% less dense than liquid water. In other words, ice takes up about 9% more space than water. So, a liter of ice weighs less than liter water. The heavier water displaces the lighter ice, so ice floats to the top. Why Sea Water is Salty ?